We use superior powder-coated finishes for extra durability and protection against damage. Steel kitchen units that stand the test of time. We understand the demands of the construction market. Builders want to make sure they partner with a trustworthy and efficient supplier to ensure the quality of their services for their clients. We use superior powder-coated finishes for extra durability and protection against damage. Steel closet units that stand the test of time. 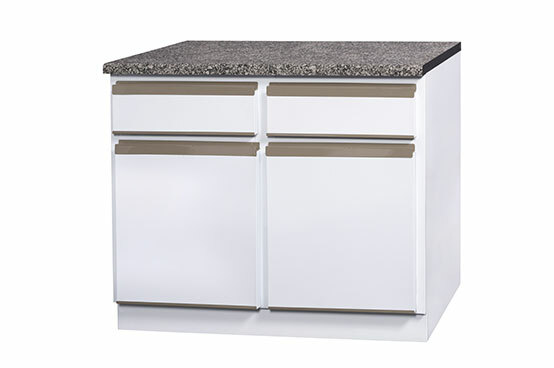 We are kitchen unit manufacturers who have been serving clients in the retail and construction industries for over two decades. We supply functional and modern products at an affordable price. Our company has a team of experienced individuals who have always been passionate about providing the best products and services to our customers. Jayfurn Industries celebrates over 20 years of service in the industry and we would have never arrived at where we are now without the hard work of every member of our team. Our employees are our most important assets, and we have trained them to always go the extra mile to please our customers. From 1995 to today, we strive to meet and exceed our standards, committing to excellence in everything we do. 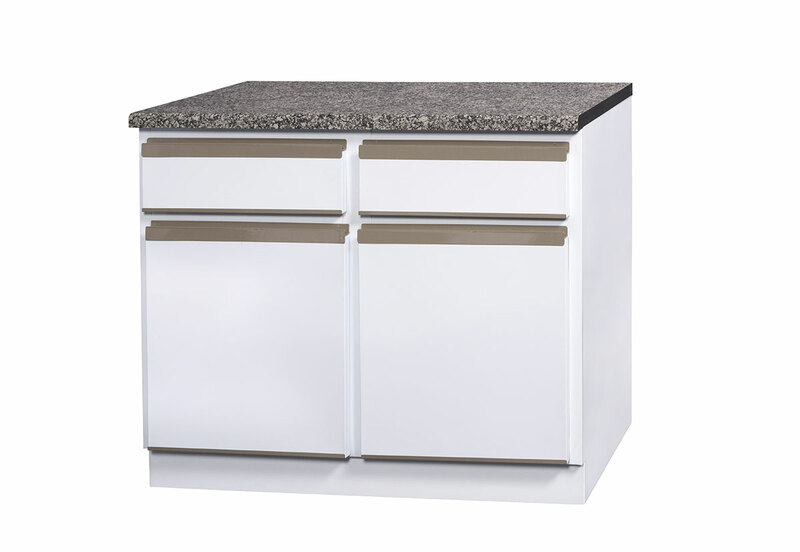 Jayfurn supplies a range of kitchen cabinets to Interglobal Products, a leading marketing company in the steel kitchen industry. LOOKING FOR A TRUSTED KITCHEN CABINET SUPPLIER? 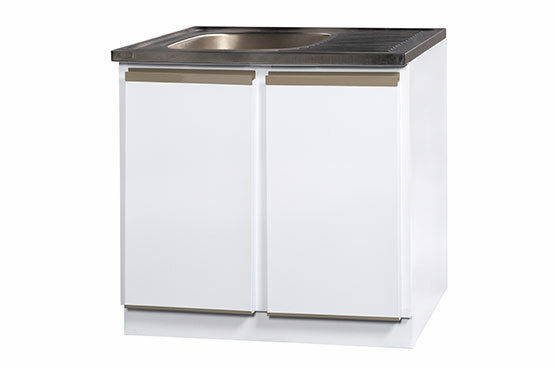 VIEW OUR RANGE OF HIGH QUALITY STEEL KITCHEN UNITS AND CALL US TODAY! 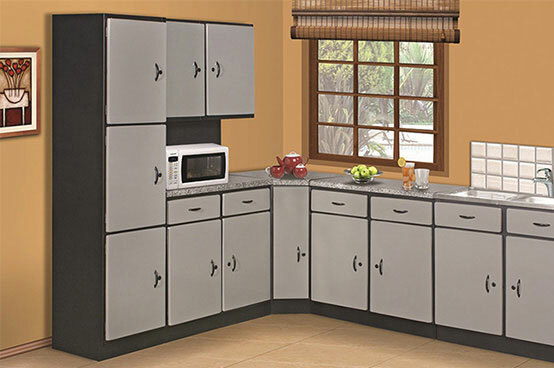 Quality steel kitchen units for the Construction, building Industries, directly from the manufacturer to you. 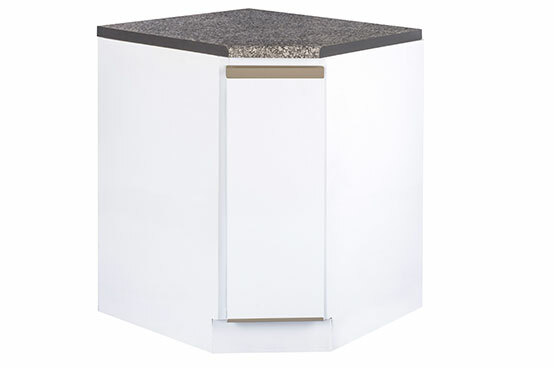 Jayfurn Industries will ensure that even the finest details are considered to maximise the use of the area designed for a kitchen, with strong consideration placed on practicality and above all, safety. We will continually and meticulously plan and research our approach to each of our client’s individual needs to ensure they get the best possible kitchen solution within their originally specified budget. The staff at Jayfurn Industries are renowned problem-solvers, who work together with Construction, Affordable Housing, Student Accommodation, Inner City Rejuvenation Projects & The Plumbing Trade to create quality spaces by listening closely to the needs of the people. We are committed to increasing our product range and, if we don’t have the steel kitchen units best suited to your building requirements, we will design and manufacture units to your exact specifications, where necessary. We invite clients from the Construction, Affordable Housing, Student Accommodation, Inner City Rejuvenation Projects and Plumbing Trade to contact us to discuss their kitchen needs. Our expert team will give you the best advice on designing a solution based, innovative kitchen that encourages highest levels of efficiency. Jayfurn Industries is a dynamic and innovative company, owned managed and staffed by an experienced team who have been in the Steel Kitchen Manufacturing Industry since October 1995. 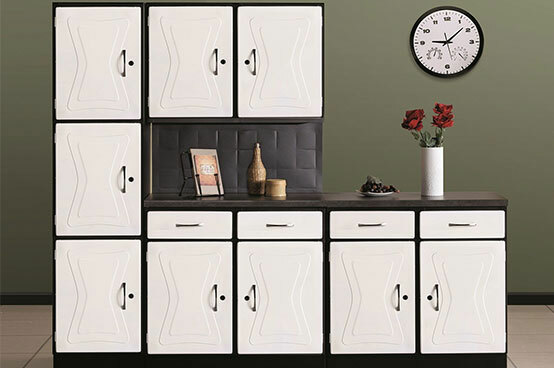 This experience and knowledge in the manufacture of All steel and steel and wood combination kitchen furniture has resulted in Jayfurn Industries emerging as a market leader. 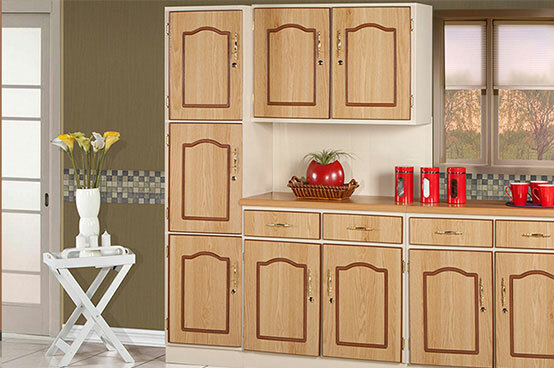 Jayfurn Industries is committed to providing Quality Products and Excellent Service to our Customers. We maintain high Ethical and Moral Standards combined with an affordable pricing structure in a very competitive industry. 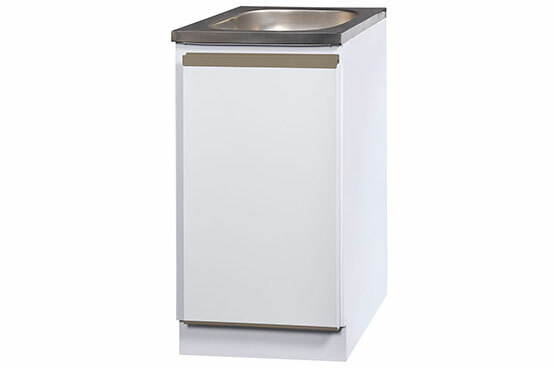 All our units are Strong, Sturdy units that would last for years, without any special care. Locks keeps belongings safe, roller catch to enable you not to have to lock the doors to keep them shut, and steel hinges to ensure durability. We use elegant handles adding value to top quality kitchen units. 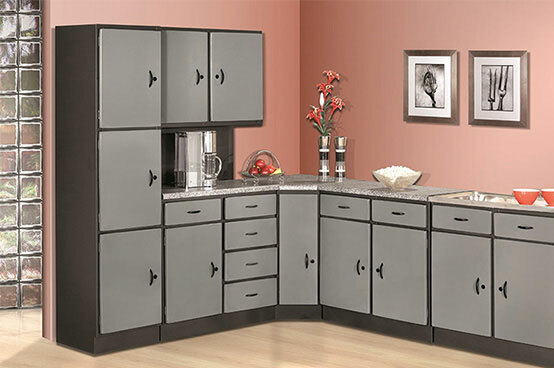 View our premium selection of steel kitchen units. Give us a call! 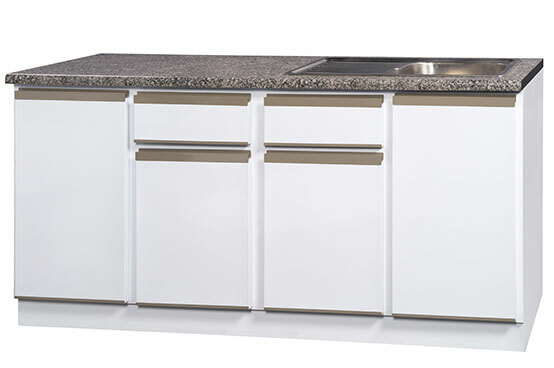 Jayfurn Industries is a dynamic and innovative company, owned managed and staffed by an experienced team with years of service in the kitchen manufacturing industry, since its inception in 1995. We strive to continuously enhance our product range by developing new products as well as improving on our current product range. We are committed to delivering a high quality product coupled with efficient and personal customer service. We operate our business by being open and honest in all our dealings and maintain the highest integrity and ethical standards at all times. Jayfurn was established in October 1995, by the owner JH Makan, who was previously the Managing Director of one of the largest and most successful kitchen manufacturing companies, namely Lanark Manufacturing, the market leader in its field in the 1980’s. We accept personal accountability for our quality and service and always aim to please the customer. We built our company on the principal that our employees are our most important asset. We value our customers and go the extra mile to meet our standards and commitments. We are a proudly South African company and have achieved a BEE Procurement Recognition Level of 135% and BEE STATUS – LEVEL 1. The trend to import goods has had a devastating effect on job sustainability in our country. It is imperative that companies like ours that produce locally manufactured goods are supported. 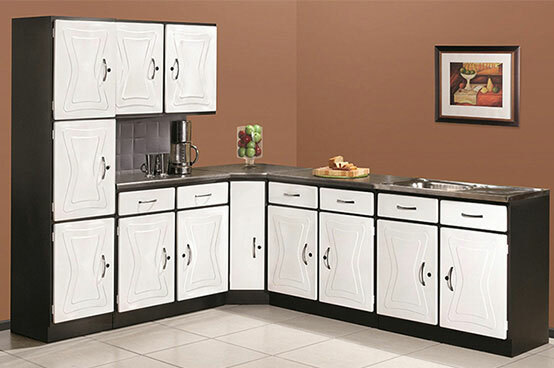 Jayfurn Industries will continue to develop new and innovative products. Jayfurn Industries is proud to be a South African company with excellent recognition from the BEE. We manufacture and supply steel kitchen units in South Africa, giving every partner the chance to enhance their customers' properties. For more information about our products, feel free to browse through our catalogue or contact us. Jayfurn Industries is an emerging market leader in supplying high-quality steel kitchen units and cabinets in South Africa. We collaborate with construction businesses in creating steel kitchen units for their projects, making sure their clients are satisfied with the newest additions to their home. Steel kitchen units are our expertise, and we operate with honesty, integrity and dedication to the craft. 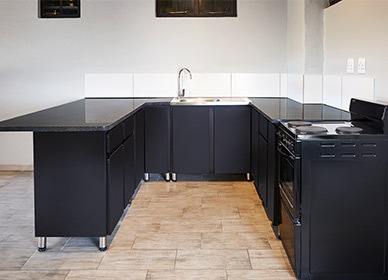 To meet the demands for modern and state-of-the-art kitchen design, steel kitchen unit manufacturers have given homeowners the option to maintain the sleek and industrial look to their living space. There's no need to stick to just one type of cabinetry; steel harmonises with the rest of the contemporary trends in kitchen design that consists of concrete counter tops and brand new appliances. Steel adds a tough and seamless appearance to a kitchen, enhancing the aesthetic value of a property.